and most Haitians would not be able to pay for medical treatment even if they could find someone willing to see them. Since 2014, Mt. Carmel Just Go Haiti medical teams have been bringing that care to the Jeremie and Chateau areas of Haiti. 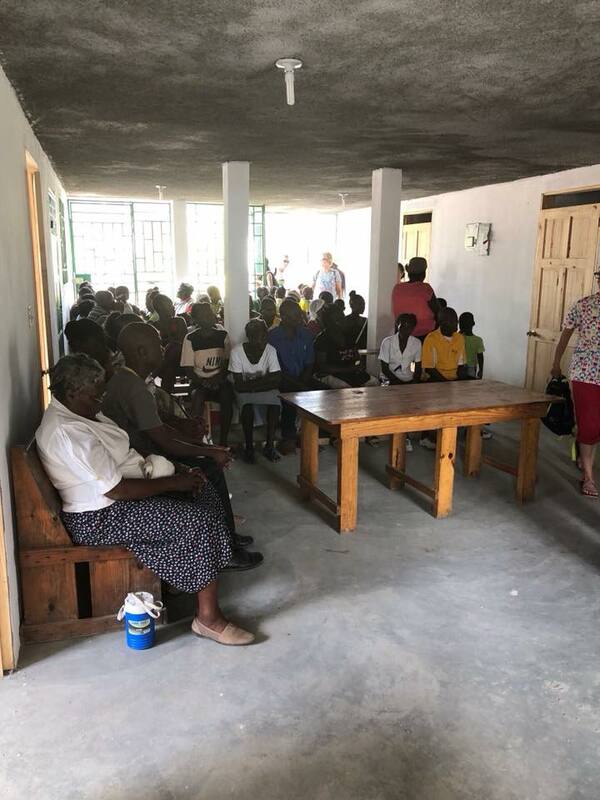 Doctors, Nurses, Nurse Practitioners, Pharmacists, Medical Techs and lay people come together to provide clinics for thousands of people desperate for the most basic medical care and make a difference in the lives of Haitians, showing the love of Jesus in a most tangible and meaningful way. 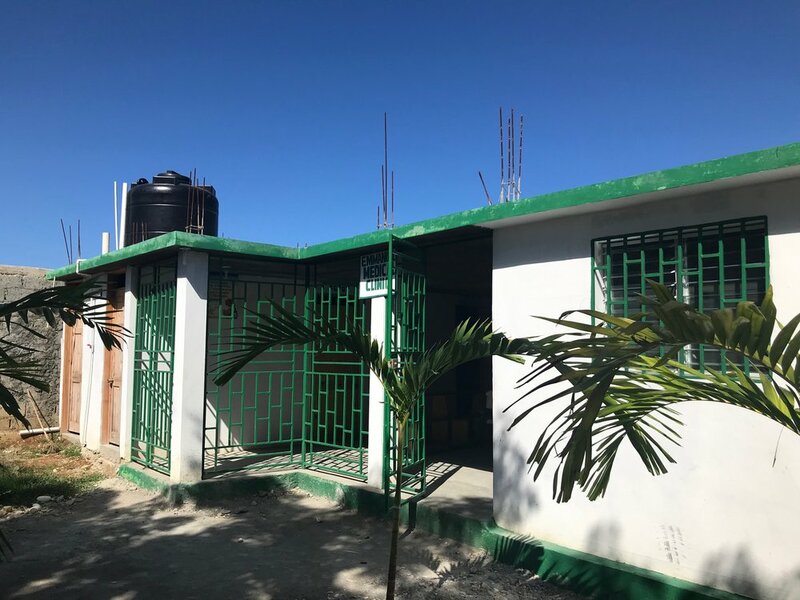 In 2018, construction was completed on the brand new Emmanuel Medical Clinic, located between the church and the dormitory at Emmanuel. 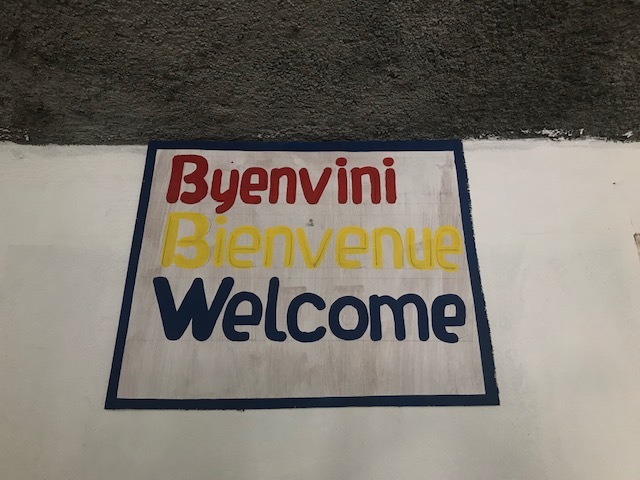 The clinic is run by Haitians and is open year round providing continual medical care to a community that previously had none. Dr. Magdala Honore and her sisters, Ketura and Lea, both nurses, use the clinic to care for the Emmanuel children, the students at the Emmanuel school and people from the surrounding Chateau community. Nurse Amanda gives Pierre his annual checkup. Dr. Magdala Honore and our medical teams keep a close eye on the Emmanuel children, providing vaccinations, medical care, basic dental care, and continued monitoring of their growth and general health. Dr. Jeff Fosnes and Nurse Practitioner Donna Hall are our Medical Directors and work with Dr. Magdala for the health of the Emmanuel children and oversee all of our medical teams. Hundreds of people are waiting each morning when the medical teams arrive. Medical Clinics are set up anywhere, whether in a church, a school or just tents and tarps. Hundreds of people are seen each day and treated for everything from malnutrition to high blood pressure to cholera. Medical professionals from all over the country come together as a team and make an incredible difference in the Jeremie community. The first ever Just Go Haiti Dental team went to Haiti in 2017. The team hosted a free clinic for the Chateau community (pulling lots of teeth that were long overdue), treated the Emmanuel children's teeth and provided preventative oral care - the first the children have ever received. Want to learn more about our medical outreach in Haiti?